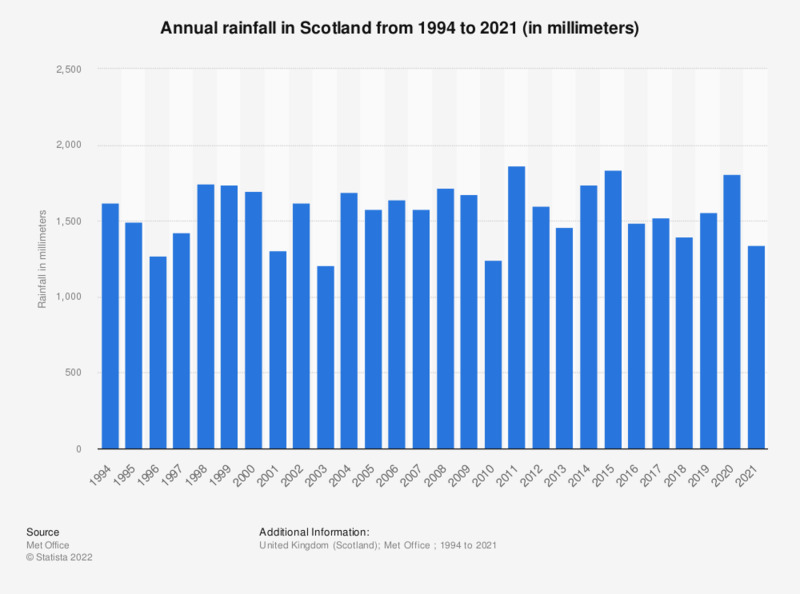 This statistic shows the average rainfall in Scotland from 1994 to 2018. The wettest year was in 2011, following the coldest year of 2010. The driest year was 2003. In the city where you live, are you satisfied with the quality of the air/water?